Whether you want to work your way up the career ladder, make friends with the person that sits opposite you or have flexible working, everyone has their own work expectations. To make sure that you achieve yours, you need to focus on your priorities and keep track of your progress. Learning to manage your work expectations will not only help you to progress at work but also make you happier and more in control of your job. Start by deciding what it is that you want and then work out a practical way of achieving it. To manage your work expectations you first need to know what it is that you want to achieve. Do you want to be promoted? Do you want to improve your time management? Would you like to be invited for drink after work? Whatever area of your job it is that you want to concentrate on, set yourself goals. These do not need to be big life changing things but just small steps that you can achieve and feel good about. Part of your expectations may be looking at your career potential and how you can progress within your company or industry. Work out where you would like to be in one, three or five years time and then see what you need to do to get there. Once you have figured this out, break down your path into small goals that you can work towards on a daily basis. These small steps will soon add up and you will be on your way to your future goals without really realising it. 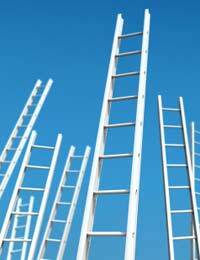 Often it is not your grand career progression that form the basis of your work expectations, but more personal goals. There are many aspects of your working life that you may want to improve such as your communication skills, ability to be calm under pressure, or knowing when to say no. These personal expectations will ultimately help you both in your career and everyday life so work out how you can focus on them. There is a lot more to your job than just the work you do. In every company there is a certain culture that unites the staff and helps them share an identity. Part of your work expectations may be to cultivate this culture and be more social with your colleagues. Suggest going for lunch or drinks after work or even consider setting up a sports team or social event. By bonding with your colleagues your working day will be more enjoyable and you will feel more part of a team. Everybody’s work expectations will be different but will probably form a combination or career goals, personal improvement and social culture. To achieve your expectations set yourself regular goals and chart your progress. Work on your personal goals and also look ahead to how these could progress your career. Socially, be open and friendly and encourage your colleagues to meet up outside of working hours.